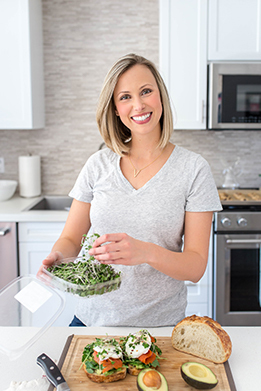 What better way to kick-off a new month, than with a fresh new recipe! 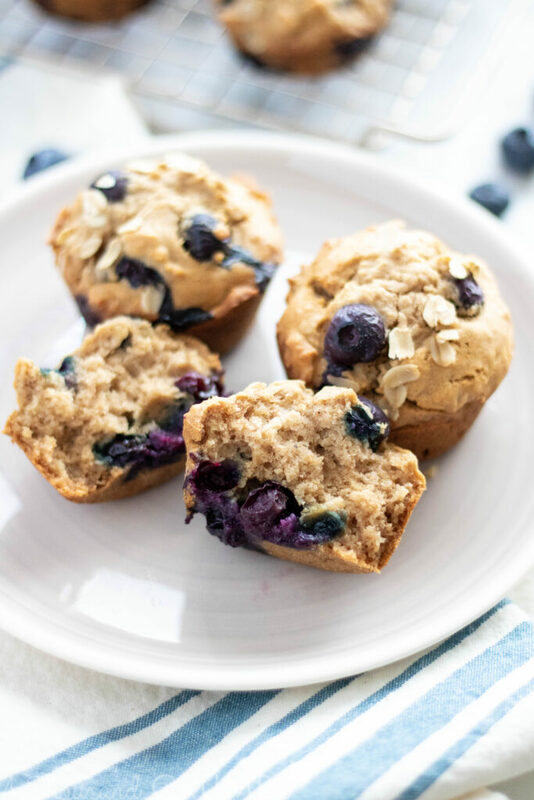 These gluten-free blueberry oatmeal muffins are so easy to make and are studded with fresh blueberries for the ultimate bakery treat. Did I mention they are also refined sugar free AND dairy-free? That makes them a great candidate for a grab-and-go breakfast, or healthy snack. One of the best things about these muffins is how hearty they are. Unlike most muffins with oatmeal, the old-fashioned rolled oats in this recipe are actually soaked in dairy-free milk to plump them up prior to adding to the batter. The result is a moist and fluffy muffin that is much more filling. 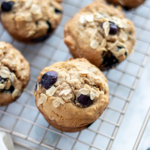 I absolutely love that these blueberry oatmeal muffins are refined sugar free. I hate when muffins are overly sweet, and these have just a kiss of sweetness thanks to the addition of maple syrup. You can also use honey or agave if you prefer, but maple syrup adds that caramelized taste that brown sugar usually yields. The recipe makes 12- full-size muffins, but you can easily make mini-muffins, if you prefer. If making mini-muffins, I would drop the blueberries into each well, rather than mixing them into the batter, just to make sure you get blueberries in each muffin. 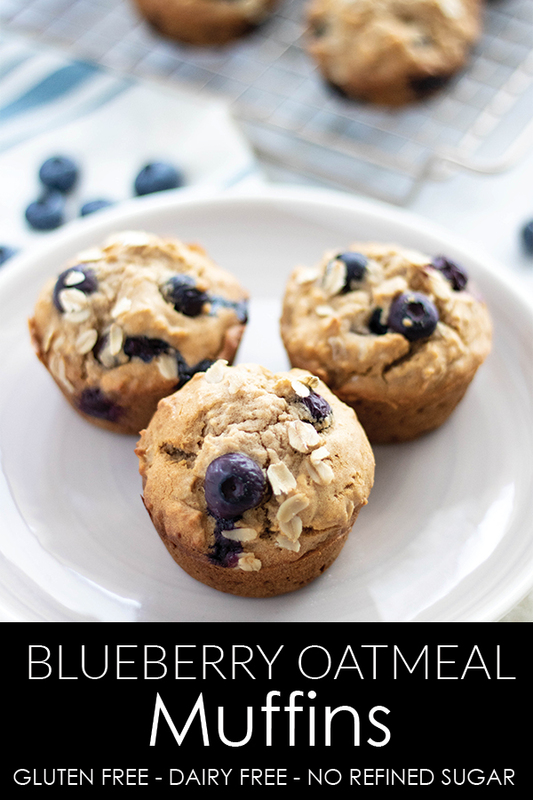 For the Blueberry Oatmeal muffins what can I replace the ghee& coconut oil with? Hi Mary! Thank you so much for your question. If you are okay with dairy, melted butter is a great option. If you want to keep the recipe dairy free, any flavorless oil like avocado oil should work!